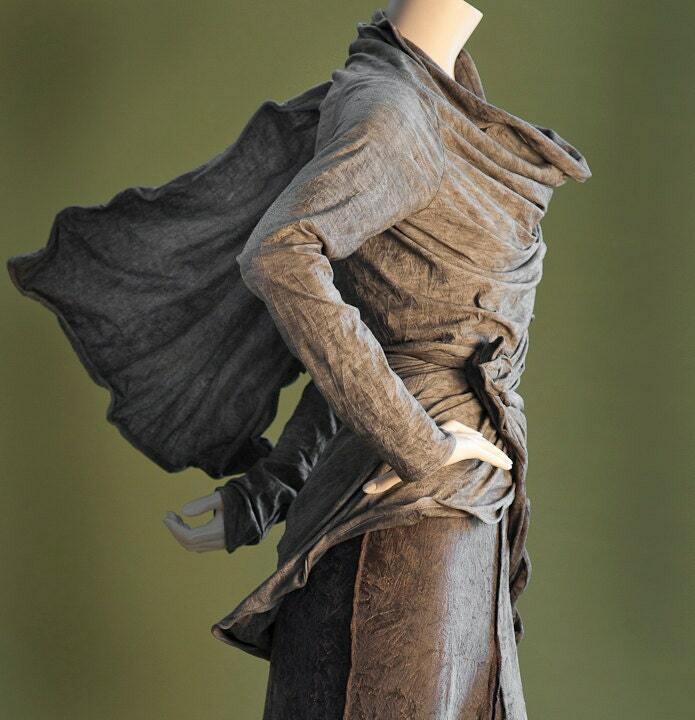 From the Rebecca Bruce Sculpting Collection, this is the "long" version of my sculpting jacket that can extend down to below the knee if you choose to shape it so. Or throw the long panel over your shoulder and wrap it around your back for any shape you like. Please visit my shop for other versions of this jacket that are trimmed with leather, faux fur, and feathers, and waist length "bolero" versions. other fabrics and colors available upon on request. Prices subject to change with fabric contents.